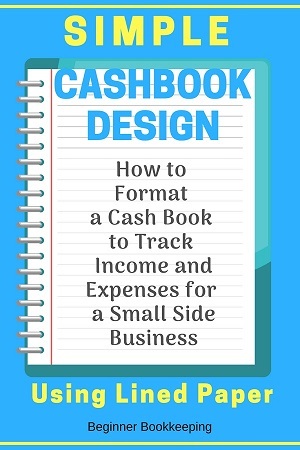 Use these cash book format instructions to make your very own cashbook spreadsheet using plain paper or a school exercise book. This is ideal if you don’t want to use a computer to keep your cash book and are happy to do it the good old-fashioned manual way. 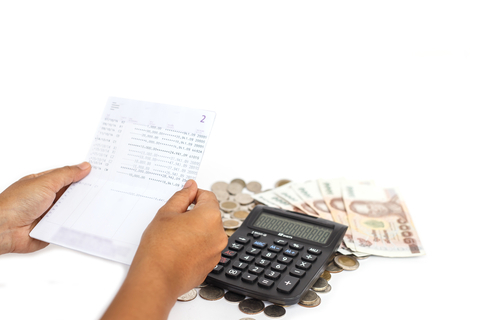 Maintaining a cash book is the only method for simple bookkeeping. 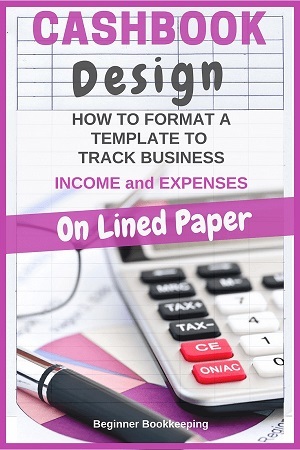 Therefore, the aim of this lesson is to show you how to design and format a simple cash book, or in other words a simple bookkeeping spreadsheet. If you want one in excel – check out our free excel cash book template. If not, continue reading on. What is a Cash Book? All money paid into or out of a bank account or cash box needs to be replicated within the bookkeeping system – the book to do this in is the Cash Book because it is the record of what happens with the money received or spent. In this case, cash is a lose term covering not only paper money and coins but also cheques/checks, direct credits, electronic transfer payments, and so on. 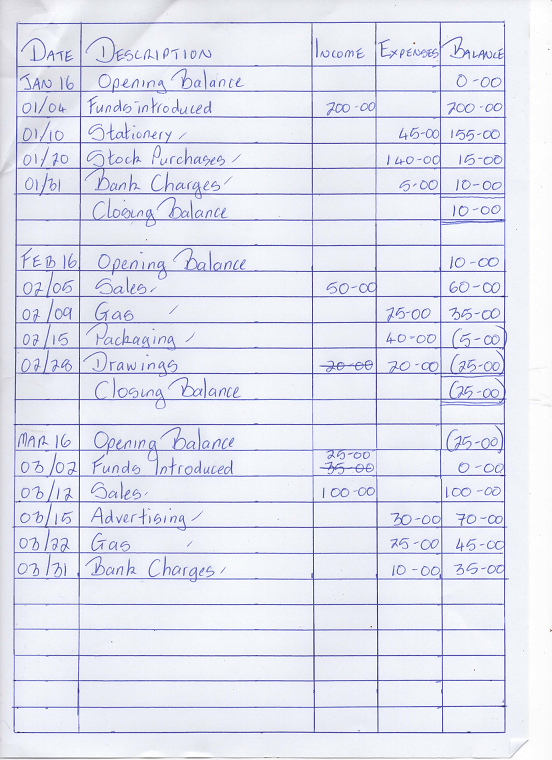 All computerized bookkeeping programs use a cash book but you might not see the words Cash Book, you might just see something like Bank Entries, or Spend and Receive Money or Transactions. 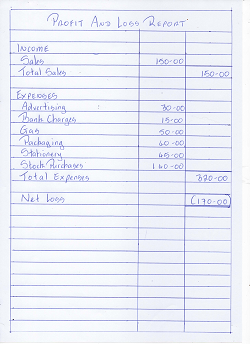 Here is cash book format sample (click to enlarge). My measurements are listed here too. I used an A4 size printer paper. I gave it a 1cm border all round. The Details column is 9cm wide. 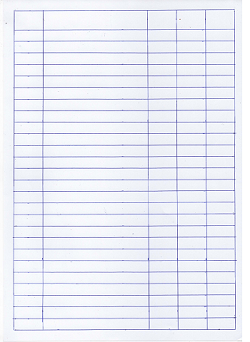 The other columns are 2.5cm wide – the cash book format looks more balanced if they are the same size. You may want to make the left margin (border) bigger and the description column smaller if you know you are going to hole punch the paper on the left and file it away. You don’t want the holes to cut out any information in the date column. 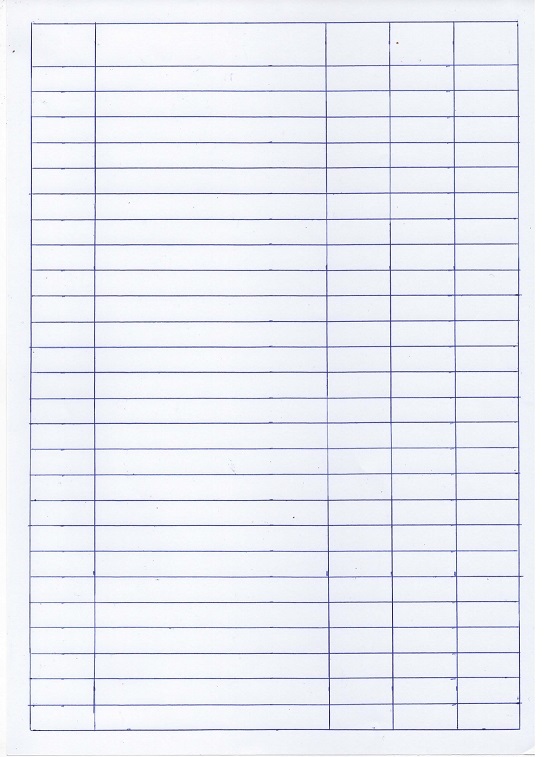 You could just buy a school exercise book which already has rows printed in it, so all you have to do is draw in the columns. 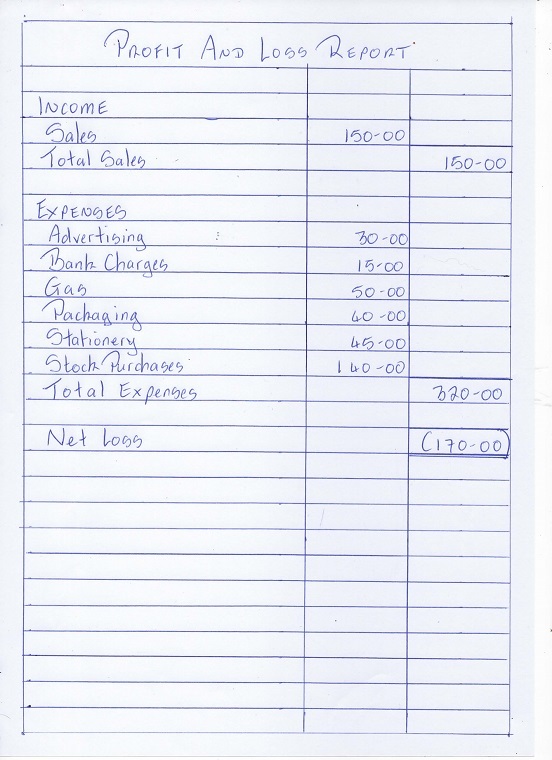 Exact measurements are not a requirement for keeping a cash book spreadsheet. You just need space to write a description and the money values. If that all sounds like too much hard work just go and buy a cash book, already formatted and printed, from a stationery store or off Amazon. Here is the same sample above that now has some random information entered into it with my quick (but messy!) handwriting. This is to show you how easy it is to keep a spread sheet to track the money. The numbers in brackets mean the bank account has gone in to overdraft. This would not occur if you are just dealing with cash at fairs, unless some cash has gone missing. The above example shows a few deliberate hand-written errors and what you can do to fix them – you can cross them out neatly and write above them, or *use white paper tape and write over them. You can use one page a month, or if the entries are very few for each month, you can do two or three months on one page. You just need to show a Closing Balance for the previous month, and an Opening Balance for the new month – this example shows what that looks like. *Back in the day when everyone was doing manual bookkeeping, whiting out errors and writing over them was a big no-no. This was to prevent the books being ''cooked'' by fraudulent bookkeepers. For those of you who don't know what "cooked" means, it means the cashbook was adjusted for crooked, personal gain or just outright theft. Whiting out errors and writing over them makes it very difficult for anyone to be 100% sure that you have processed the accounts in good order (such as auditors). This is also why it is important to have receipts, invoices and other source documents which prove the transactions are correct. Here is what a simple profit and loss report would look like based on these cash book entries. Click to enlarge. 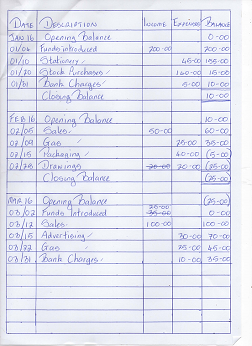 For a more detailed cash book, format it with extra columns – check out the information on this in single entry bookkeeping. If you have any questions on this cash book Format you can write them on the Facebook comments below, or use the Contact form.